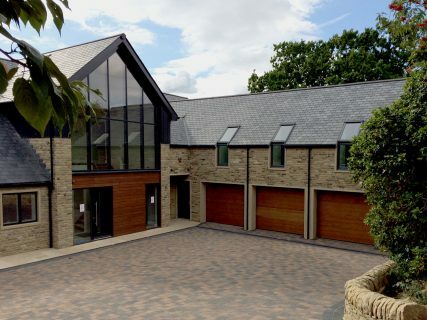 This replacement dwellinghouse is set on a sloping site on the edge of a village. 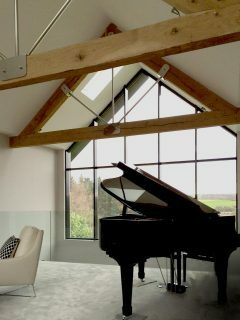 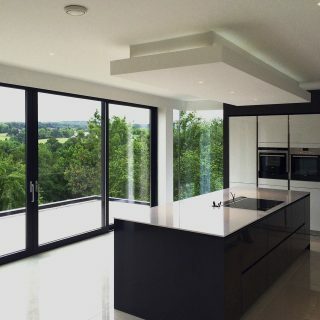 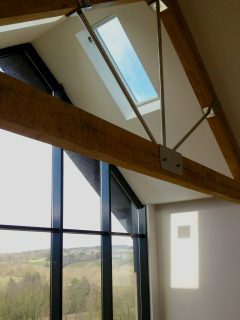 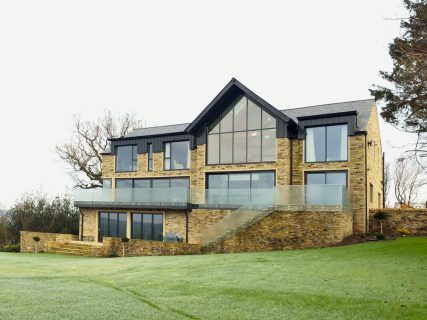 The main south-west elevation features large expanses of glazing, with a double height living room and open-roofed gallery, to make the most of the beautiful views over surrounding countryside. 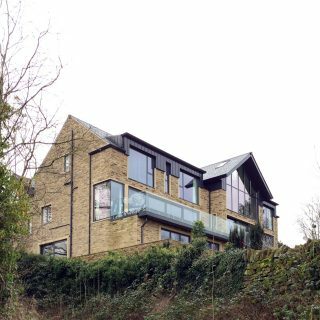 By working closely with a local builder, we were able to combine traditional materials and detailing with the use of modern, commercial construction methods, in order to give a contemporary edge to the familiar traditional forms of the house, and to make the most of the hillside topography.